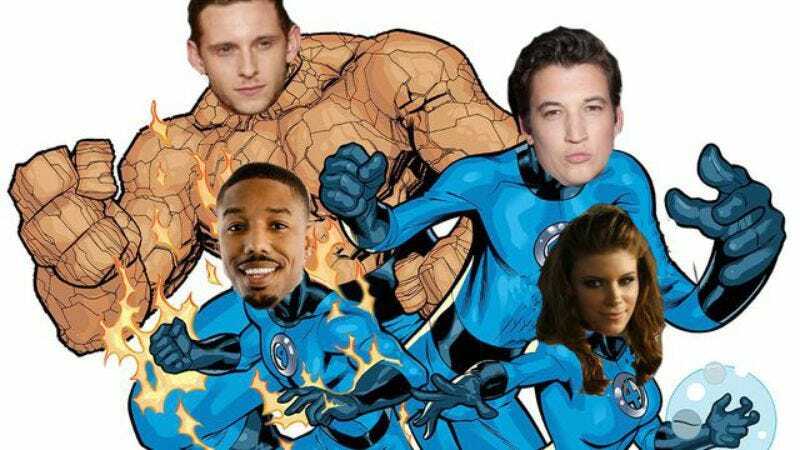 Addressing what is surely the only lingering concern about the upcoming Fantastic Four reboot, writer Simon Kinberg tells HitFix that the film—about an elastic man, an invisible girl, her flying brother who bursts into flames, and a giant, grumpy rock—will be “a more realistic, a more gritty, grounded” version of that story than one might expect, perhaps after reading the dictionary definition “fantastic.” However, by giving the film a more grounded tone, it’s possible that Kinberg and director Josh Trank are aiming for more of an informal, ironically detached version of “fantastic.” As in, “Oh, we’ve been changed irrevocably by exposure to cosmic rays? Well, isn’t that fantastic,” as heard in the parlance of gritty, realistic individuals. Still, despite the employing of “gritty” and “realistic” that is the parlance of modern film producers, Kinberg also tells Collider that Fantastic Four is definitely not The Dark Knight. “It’s still fun,” he assures everyone about his movie based on a comic book, a statement that is, strangely, increasingly necessary. “I would say there’s a spectrum, and we’re on the spectrum between Sam Raimi’s Spider-Man and Chronicle.” Elsewhere, he tells Den Of Geek that the film is a coming-of-age origin story, set when the characters are “older than high school, but they’re not quite grown into the world,” adding ambiguously that the scene where they get their powers will “involve some sort of scientific travel.” Presumably in keeping with the more grounded, realistic approach, that scientific travel will be a field trip to the local planetarium.